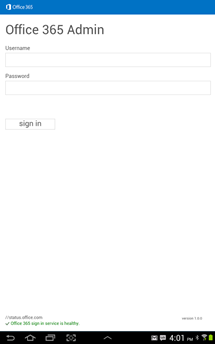 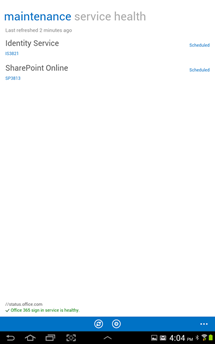 The Office 365 Admin mobile app empowers IT service administrators to connect to their organizations’ Office 365 service status on the go. 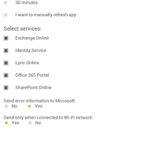 The Office 365 Admin mobile app enables administrators to view service health information and maintenance status updates. 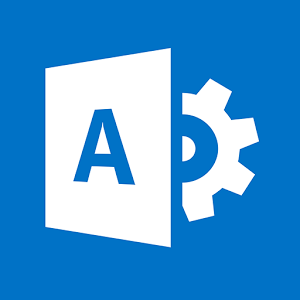 In addition, administrators can filter information by service subscriptions and configure app data refresh interval. 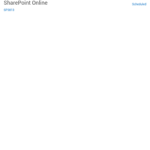 IMPORTANT: You need to have an active Office 365 subscription with administrator user rights to use this app.  This app does not currently support Windows Azure Active Directory Multi-Factor Authentication.